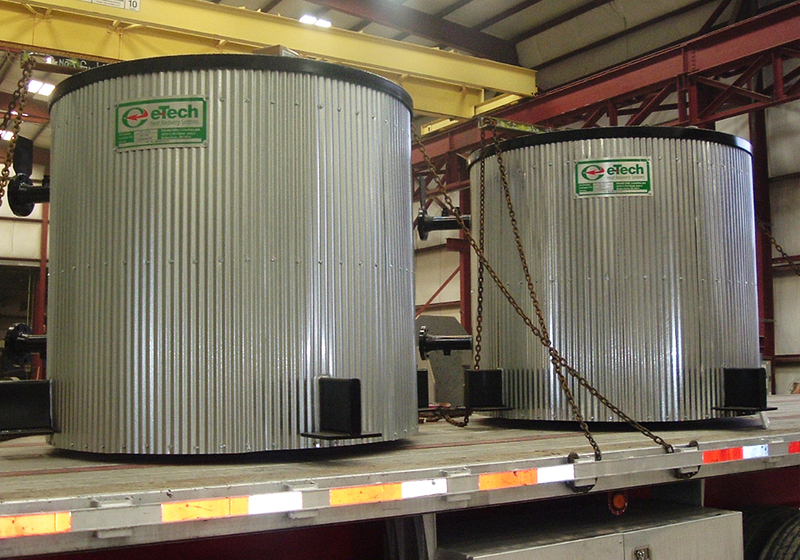 Custom-Designed for Your Operating Conditions and Fuel. Space-saving design for smaller boilers (100-1200 hp) and confined spaces. 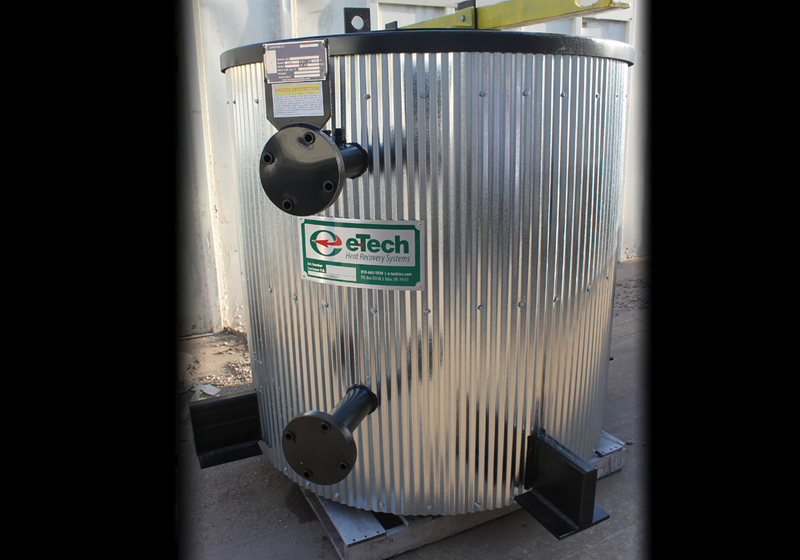 E-Tech’s no-transition circular economizers are designed for easy, cost-effective installation on or above a fire-tube boiler outlet or, with very little modification, into an existing water-tube boiler stack. Our circular designs range in size from 100 hp–1200 hp for fire-tube boilers or up to 45,000 pph for a water-tube boiler. 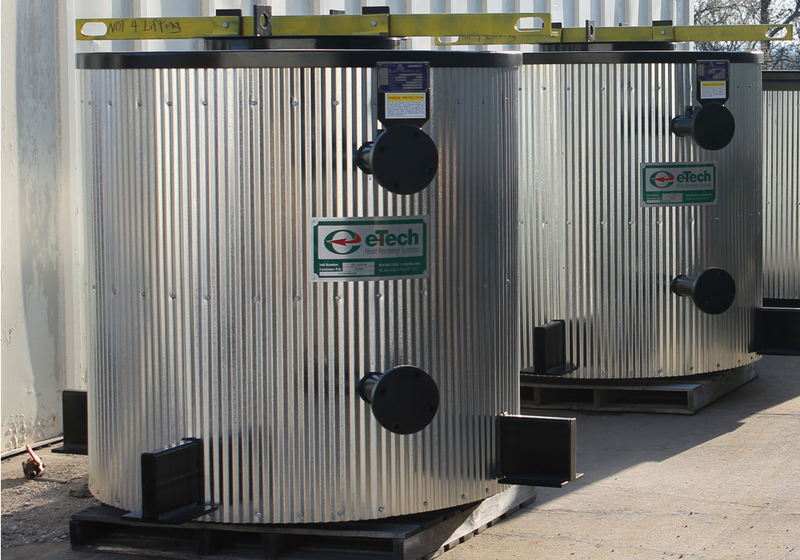 These compact units lower flue gas temperatures by preheating feedwater entering the boiler. The rise in water temperature allows the boiler to produce steam using less fuel, thereby significantly lowering fuel consumption and costs. In general, E-Techers realize a 1% increase in boiler efficiency for each 40°F decrease in flue gas temperature.